WOW! What a great shot coming out of the chute. Chose your vaccines for the area you live in. They may include: Eastern/Western Encephalitis,Tetanus,West Nile Virus, Influenza & Rhino. There are many others check your area for risks. Also pregnant mares need Rhinopneumoitis in the fifth, seventh, and ninth months of pregnancy. The ticks will soon be showing their heads. Here is a good way to get them off you, your children, or your pets. Give it a try. This is great, because it works in those places where it's some times difficult to get to with tweezers: between toes, in the middle of a head full of dark hair, etc. Apply a glob of liquid soap to a cotton ball. Cover the tick with the soap-soaked cotton ball and swab it for a few seconds (15-20), the tick will come out on its own and be stuck to the cotton ball when you lift it away. This technique has worked every time I've used it (and that was frequently), and it's much less traumatic for the patient and easier for me. Unless someone is allergic to soap! Jane is an American Quarter Horse. She was born into the Fackrell family in Utah. She was trained in Tie Down Roping but is a great all around horse and has been used in a lot of other events. The person who competed on her the most was their son Troy Fackrell. During her career, she took Troy to the High School State Finals, National High School Finals and National Little Britches Finals. When Troy went to the professional circuits after high school, she went to PRCA, IMPRA and Western States rodeos. Jane has been a member of the family for almost 30 years. She was retired for about 7 years. However, in 2008 when Brent (Troy's nephew) needed to learn to Tie Down rope she was brought out of the retirement pen. She was the first horse that Brent tied a calf down at a rodeo and he placed fifth. A good friend of the family Parker Cummings also wanted to learn to Tie Down Rope. So Jane was called upon again. She has qualified Parker in Tie Down Roping for the National Little Britches Rodeo Finals in 2009. 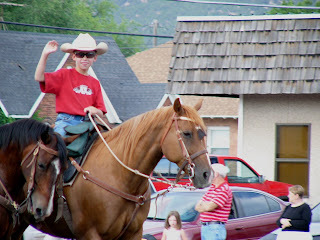 This year Troy's son Cole started riding Jane and competing in the Little Wrangler Division of National Little Britches. Jane is a true athlete and has helped Cole qualify for the National Little Britches Rodeo to be held in Pueblo Colorado next week. This is her second trip to the finals. She just had to wait 20 years to go back. She was there in 1989 and she will go again in 2009. This is Jane, Cole and Troy July 2009. So this is me getting ready for my event at the rodeo. But when my rodeo is over, it is all work. 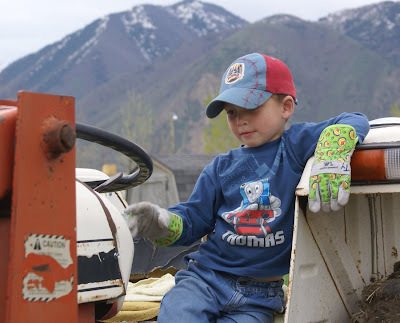 I have a tractor to drive with my cool work gloves. I have nails to pound. 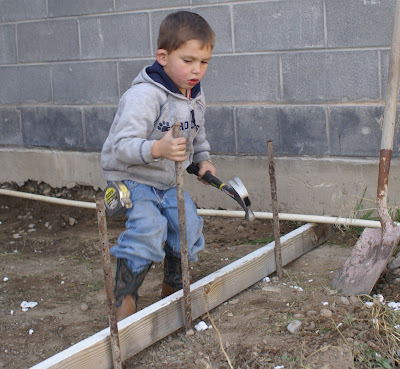 A cowboy's work is never done. Horse care always needs to be done. Don't put it off any longer. These are only guide lines. You should always seek the advice of a qualified vet if you have any questions. Be sure to read the labels for active ingredients. 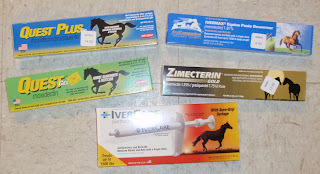 No worming product is superior to all others. 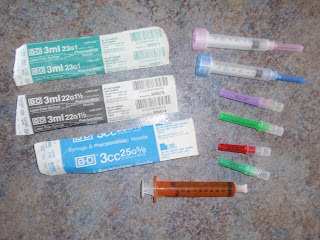 So rotate the product regularly to make sure you are covering all parasites. Helpful hint to keep the bugs away when your riding in the evening. Put a sheet of Bounce fabric softner through your belt loop. Tie one into the mane of the horse and it will also keep the bugs off the horse. 3. Eliminate static electricity from your television (or computer) screen. 4. Since Bounce is designed to help eliminate static cling, wipe your television screen with a used sheet of Bounce to keep dust from resettling. 6. Put Bounce sheet in vacuum cleaner. 9. Collect cat hair. Rubbing the area with a sheet of Bounce will magnetically attract all the loose hairs. 10. Eliminate static electricity from Venetian blinds. Wipe the blinds with a sheet of Bounce to prevent dust from resettling. 11. Golfers put a Bounce sheet in their back pocket to keep the bees away. The National Little Britches Rodeo Association will be holding their National Finals. Come and see over 1,000 of today's top athletes in junior rodeo compete for the National Title. For more information go to their site www.nlbra.com. "Remember that the more you know, the less you fear." This is especially true with children. They need to learn everything they can about horses, their event and rodeo in general. Get them books, DVDs and take them to clinics as often as possible. Their rodeo performance and their confidence will improve. When your horse pulls a shoe, use Duck Tape. Applying strips of tape to a barefoot will help to prevent the hoof wall from cracking and breaking away. To make a more substantial pad, wrap a rag around the hoof before applying the duck tape. Diapers are also great for temporary hoof protection. Again, secure the diaper with duck tape. We were all raised imperfectly and we will most definitely raise our children imperfectly, as well. Our imperfections come with the territory and we can ill afford to be obsessed about them. A parenting expert once quoted the French philosopher, Voltaire, “The best is the enemy of the good.” By that, it is assumed that he meant that we can be so focused on getting things perfect that we don’t get things right. Whatever we do, it need not be ‘perfect’. We can never be perfect, but we do have to give our best effort. 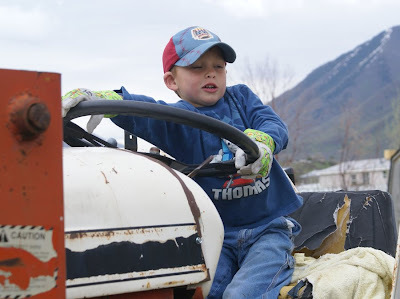 As you look around some parents seem to be sterling role models, whose children just stand out in behavior, bearing, confidence, attitude, politeness, and always having perfect rodeos. But when we really look into the matter, we all know this is too good to be true. 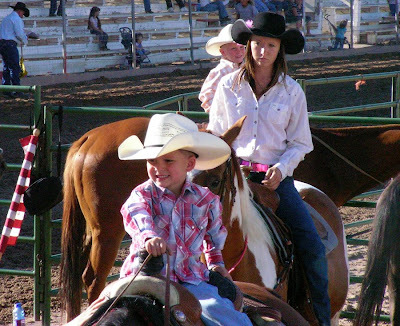 Our expectations from our children can make all the difference in their rodeoing. If they see that we only care for low quality output, that is what they will deliver. It’s human nature. We adjust effort to expectations in our place of work. If the expectations are set low, then our effort and output are low, also. A more important issue here is winning every time. We can also go the other extreme and say that winning is all that matters, that points are all that matter. 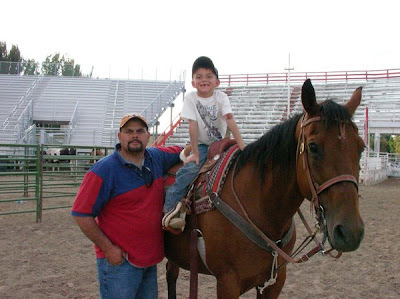 Some children have even gone to the thinking that their parents’ love for them is dependent on how high their rodeos or grades are. Grades and Points are numbers or letters that we use to keep score. They are, at best, indicators of something – maybe success, intelligence, effort, virtue, character, etc. Maybe they are like the other positive numbers in our life – assets, salary, ratios, stock portfolios, etc. They probably mean something, but, ultimately, they are numbers and things. So when we tell our kids that we expect them to do well in their rodeos or anything, we tell them the limits of grades or points. Points are not everything, but they are not meaningless. We also set them up for success. We do not simply set expectations, then sit back and wait for them to deliver the goods. We have to equip them, support them, mentor them, and monitor them. There are parents who do not want their children to have a tough life the way they did. This usually comes from parents who made something of themselves against all odds, especially a desperately poor background. The stories are real: walking to school and skipping meals because of lack of money, stretching what little they had and skimping on everything, making the best of a sub-quality education, which were all their parents could afford. Rodeoing in the oldest truck and trailer there. Having the oldest or slowest horse or even worse the youngest horse with the least experience. These parents lived what American writer William Faulkner spoke of when he said that the poor know the joy and despair of a penny found and a penny lost. They had no nest egg from their parents to start with upon graduation. They fixed their sights on what they could do rather than wallow in self-pity or embarrassment. Parents in this predicament have lost sight of how hardship shaped their lives for the better and taught them to be tough, resilient, resourceful, hardworking, and demanding on themselves. The desire to spare their kids the bitterness is understandable, but misdirected. These lessons packaged well can make a real mark on their children’s values. I think it is natural for all parents to want the best for their kids and want them to succeed. You don’t want them to have losses or heart ache. I think this is one of the hardest things as a parent to find balance between teaching and raising your kids, making sure they know they are loved, and the hardest one is letting them learn the hard way and learn from losing, heart ache, and pain. I firmly believe that some our greatest learning experience have come from loosing or mistakes we have made. The winning is a reward for learning from those mistakes and practicing to improve. It is an amazing feeling to win just don’t loose sight of what matters most. I think Rodeo offers so much for our kids to learn that we need to focus on all the things that will help them succeed in life, the winning will then follow. 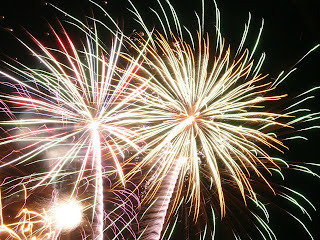 I love the 4th of July holiday. It is always spent either at a rodeo or watching a rodeo. 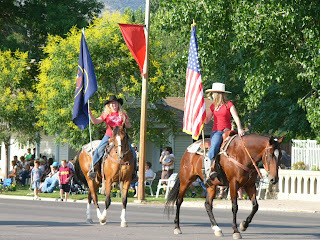 Usually before the rodeo or during the day, they have a parade. The kids have a lot of fun riding in them. Later that night, you always get to see the amazing fireworks. 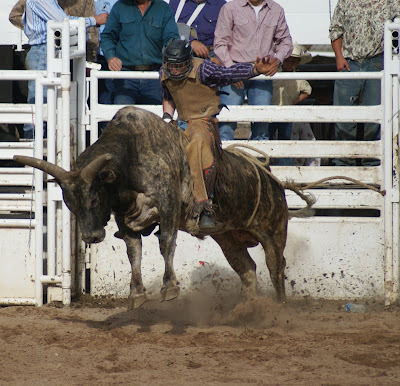 Sitting in the park or in the bleachers at a rodeo, it is so fun to be that close to them. No matter what you are doing just enjoy the best summer holiday! Happy 4th of July! How cute is this? Cowgirls just have sass and attitude!